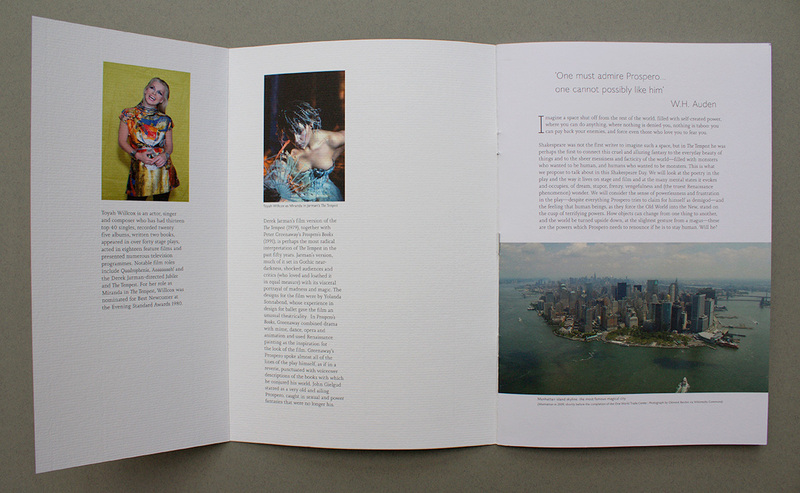 We worked with the organiser and main speaker at the festival to design the progamme and wider visual identity for the day. 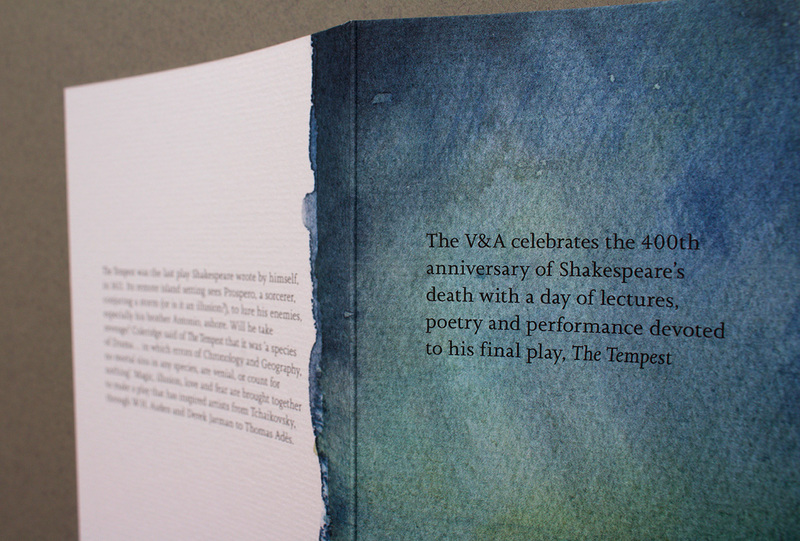 The Tempest, Shakespeare's last play, was the focus for the events and speakers. 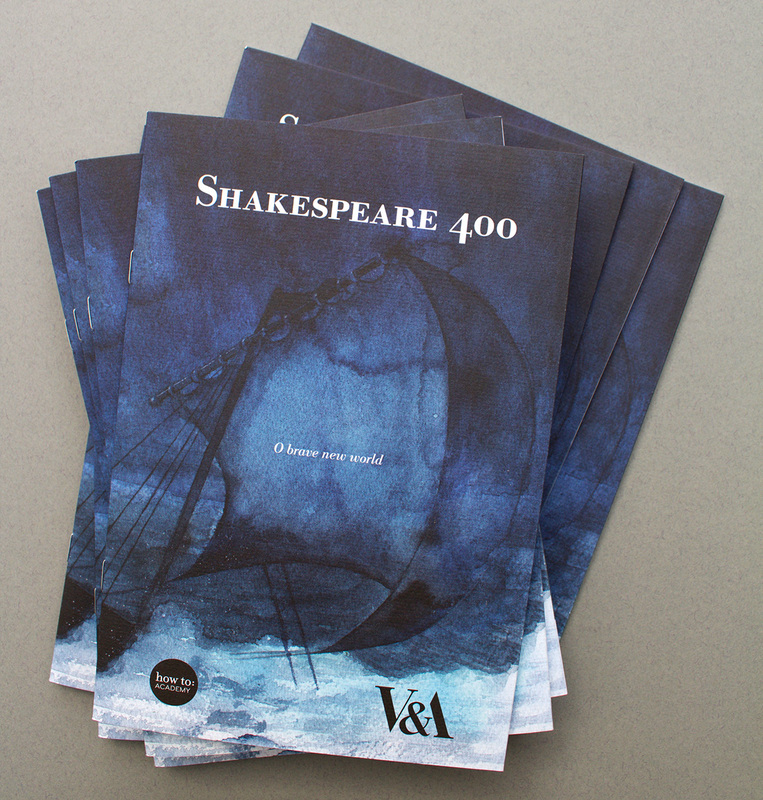 The cover illustration was designed with the storm and ship in mind, the scene that opens the play. 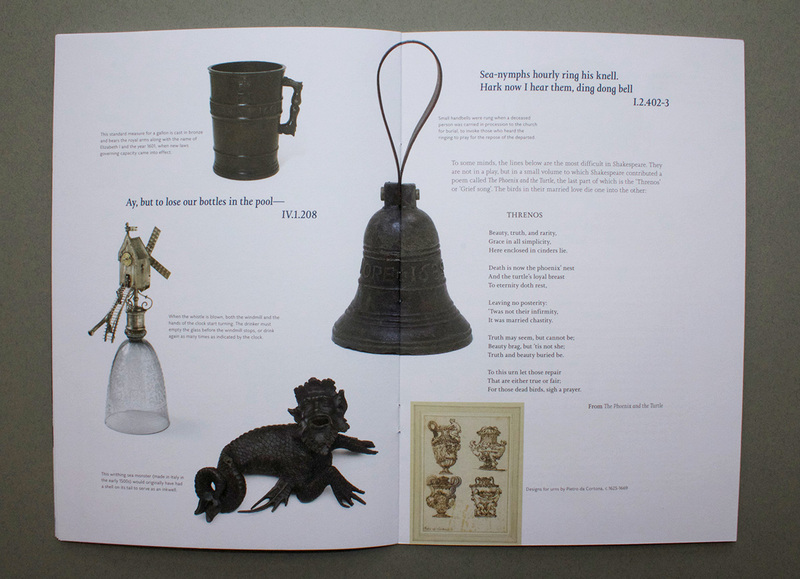 This bold image was used for digital promotion of the event as well as additional posters for bookshop advertising. 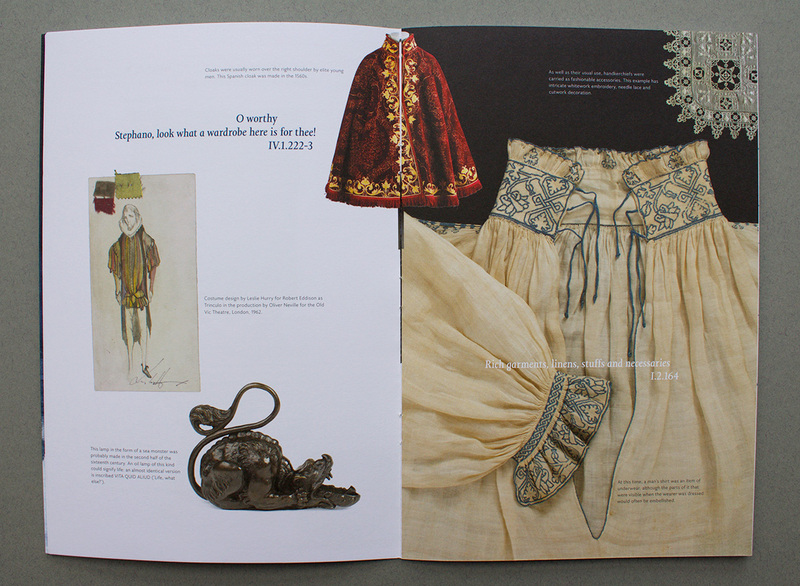 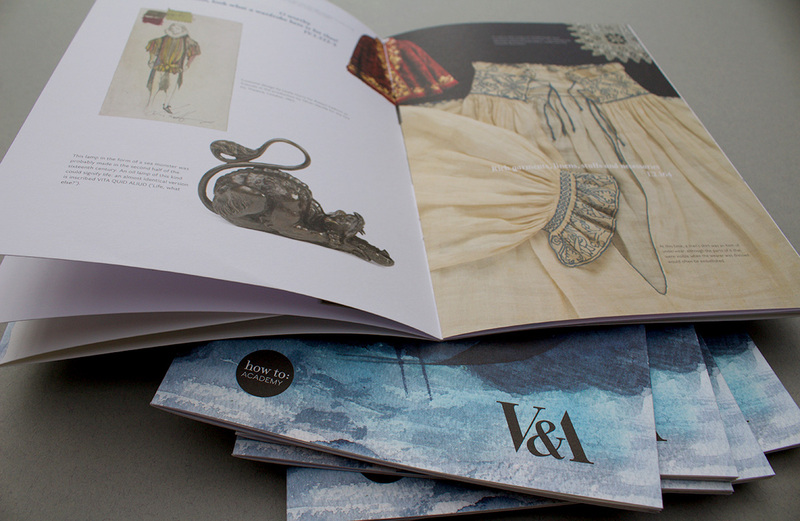 The content of the programme was designed around images of artefacts from the V&A collection that serve to illuminate aspects of the characters and plot from The Tempest. 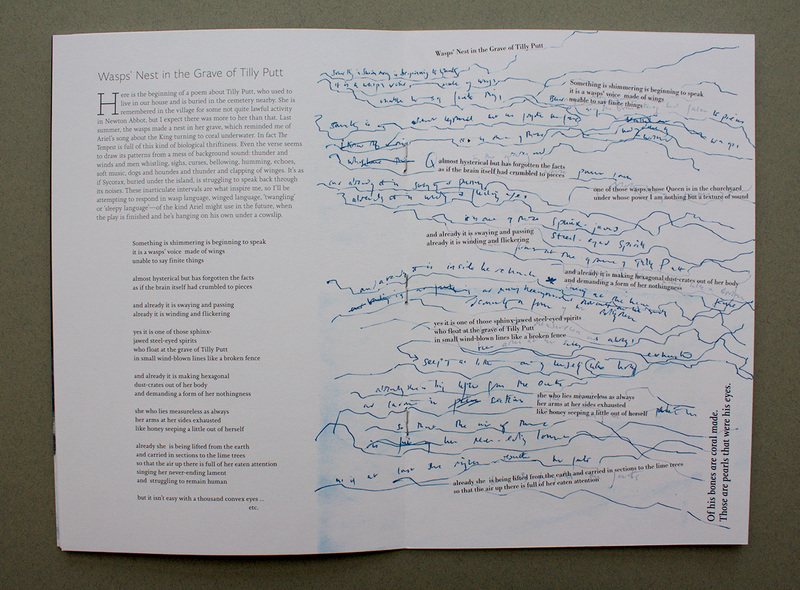 The centre spread includes an image of a handwritten, yet to be complete, poem by Alice Oswald, inspired by the play. 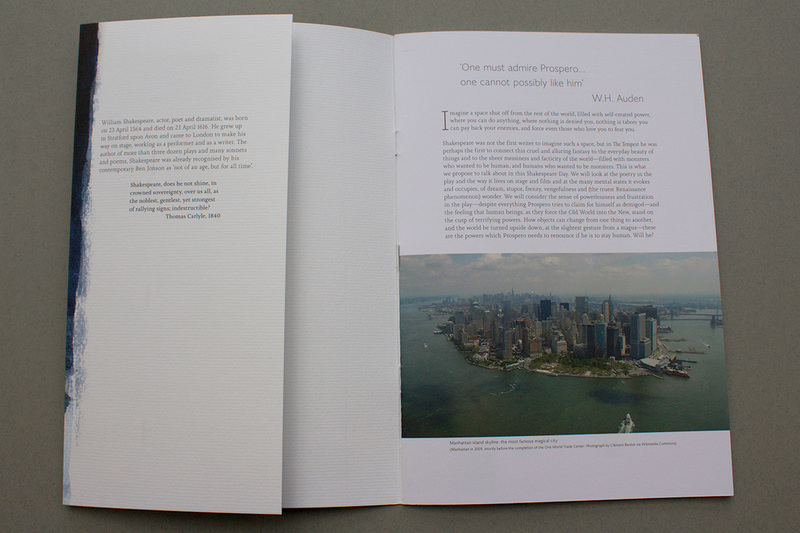 The programme cover was printed on Conqueror Diamond White Laid and included a front and back cover flap.